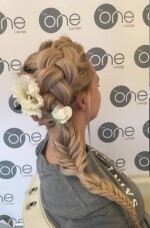 Lorna, our hair stylist at The One Lounge, is a very talented hairdresser who has been working in the hair dressing industry for 7 years and studied at college of commerce qualifying with a HNC in all aspects of hairdressing. Hairdressing is Lorna's passion and she will be providing Ladies & Gents cuts, bridal, colouring, and styling. 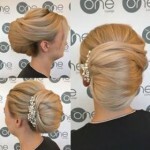 At The One Lounge we pride ourselves on our amazing hair and makeup, which also includes wedding packages. 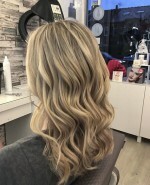 With more than 10 years' experience in both television, editorial and wedding make up and hair you will be leaving feeling like only the best version of yourself. 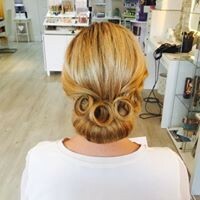 Bridal hair and makeup is our speciality. Please contact us for a customised price list.